Celebrate Halloween and Thanksgiving with two classic Berenstain Bears stories in one book! Celebrate Halloween and Thanksgiving with two bestselling Berenstain Bears stories in one book. 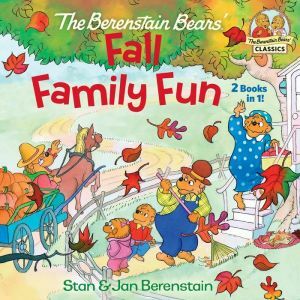 Featuring The Berenstain Bears Trick or Treat and The Berenstain Bears and the Prize Pumpkin, this full-color storybook is the perfect fall-themed addition to your Berenstain Bears collection! On Halloween, Brother and Sister get caught up in the excitement of trick-or-treating and go along when their friends decide to play a trick on a witch-like neighbor. But when she surprises them, they learn that appearances can be deceiving. Papa is determined to win the annual prize for growing the biggest pumpkin. But even though his comes in third, the Bear family enjoys the delicious fruits of his labor on Thanksgiving.